Author: Flint, V.E., Sorokin, A.G.
Hardback. 3000 copies. Biblioghraphy includes 28 titles. This book is publishing owing to the valuable and generous financial support of our friends falconers Josef Hiebeler (Austria), Egon Mueler (Germany) and Joost van der Ven (Netherlands). Authors of photos: M.Golovushkin, V.Ivanovskiy, E.Luttger, O.Mikulica, V.Moseikin, N.Nazarov, J.Parry-Jones, V.Pesakov, I.Pracek, V.Sedov, A.Sorokin, V.Flint, P.Forris, C.chjou, A.Shlana, S.Sherrod, D.Ellis.
. Moscow, "Egmont-Rossiya Ltd" Press. 328 p. Hardback. 3000 copies. Biblioghraphy includes 28 titles. From authors. 5. From darkness of centuries. 6. Who they are ? 17. Lightning above tundra (Peregrine Falcon). 17. Falcon from gorge (Saker Falcon). 32. Private life of the Gyrfalcon. 44. Lord (ruler) of sky (Golden Eagle). 60. Winged wolf (Goshawk). 73. Landmarks of history. 86 Birth and formation. 86. Friedrich II Hohenstaufen. 101. Upward flight and fall. 109. By parallel course. 118. The high flight of falcon is beautiful and joyful. 125 Diplomatic mission. 132. 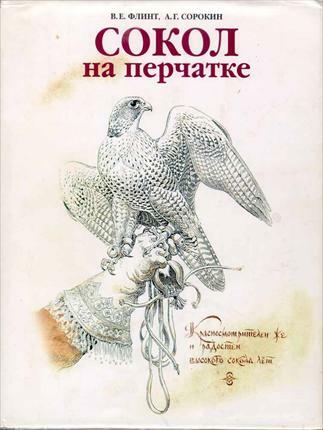 "Uryadnik sokolnich'ya puti" (Statutes of falconer and falconry). 134. 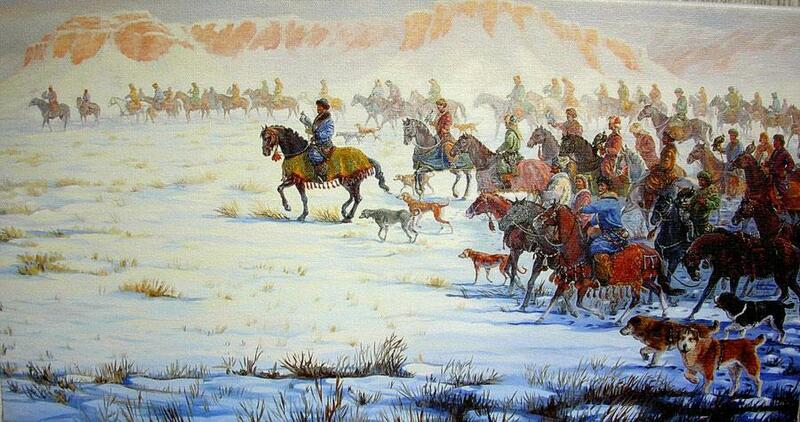 Trappers. 145. Dyuing. 150. Revival. 159 In the sky of Europe. 165. Falcon above castle's towers. 184. Falcon and oil. 188. Falconers of the country of raising sun (Japan). 199. Falconry on the opposite side of Ocean (Atlantic). 203. Woman with falcon on the glove. 209 How to become falconer. 214 Where to take bird ? 224. Keeping of birds of prey. 224. Plumage of hunting bird of prey. 227. Jesses. 228. Swivel. 233. Falconer's knot. 235. Bells. 236. Hood. 239. Glove. 243. Lure. 246. Bag. 249. Education of birds of prey. 250. Born in cages. 255. Unequal fight. 274. Death on wires. 282. Unvisible killers. 284. Return of falcon. 287. Warning. 292. Teachers and pupils. 297. Bazieri and Mimino. 297. In KaraKumy: with Saker Falcon and Tazy. 205. In saddle and wth bird. 313. New wave. 319. Optimistic epilogue. 326. Literature. 328.